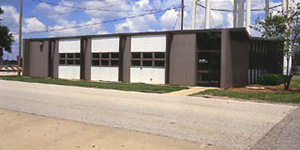 Hudelson Building 401 N. Main St. The Hudelson Building is home to the English Language Institute. The Hudelson Building opened in 1955 and was named after Clyde Whittaker Hudelson (1888-1973). He served as chairman of Illinois State Normal University’s Department of Agriculture for 37 years from 1920-57.